The municipal council elections take place on 21 March. But who can vote and whom should you vote for? On Friday 9th of March, about 65 (international) students and expats gathered in Luna to hear more about local politics in Eindhoven. Eva de Bruijn, Master student Industrial Design (TU/e) and council candidate for GroenLinks, initiated the evening organized together with Studium Generale and international student association Cosmos. All EU citizens have the right to vote in municipal elections, as do non-EU citizens who have lived in the Netherlands for five years or more (more info here). In a short presentation, Eva introduced the audience to local politics and elections in The Netherlands – taking them from an explanation of the Dutch political system to a step-by-step ‘how to vote’. 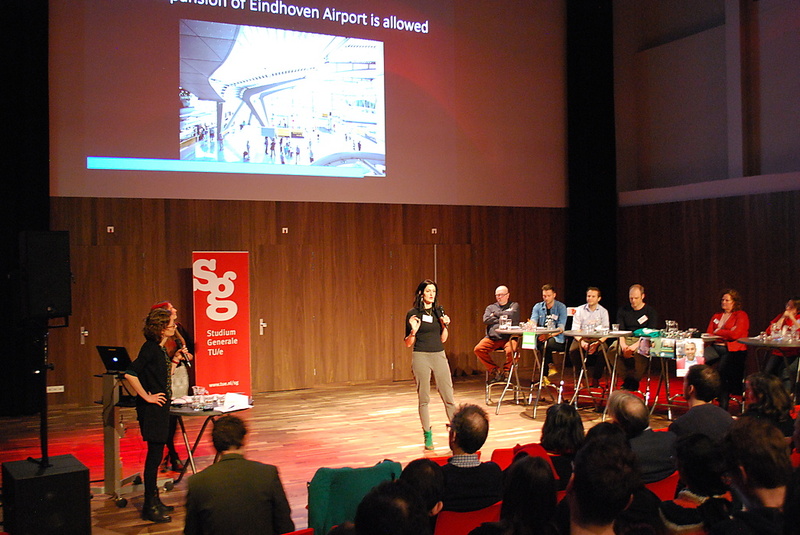 Politicians from seven political parties (SP, PvdA, ChristenUnie, Ouderen Appèl Eindhoven, VVD, CDA and GroenLinks) were present to discuss such topics as the expansion of Eindhoven Airport and social housing. If you would like to discover what party is right for you, an English voting compass is available. Also check out Cursor’s report of the event.